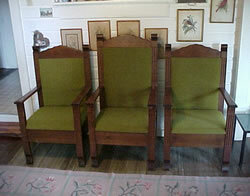 Deacon chairs salvaged from a Florida church built approximately in the 1950s. 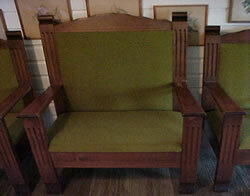 These antique chairs are handmade from solid birch wood and are in excellent conditions. 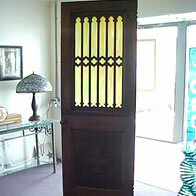 Stained glass, solid oak confessional door. 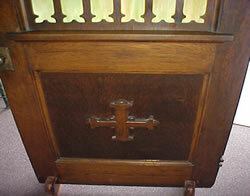 This door was salvaged from a Florida church built approximately around 1920s-1930s. 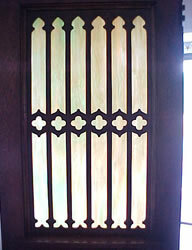 The stained glass are shades of green and amber opal essence.